When President Donald Trump meets Russia’s president Vladimir Putin for their first full-fledged summit on Monday in Finland, he will encounter one of the most experienced and enigmatic negotiators on the world stage. In some ways, it will be a study in contrasts. Trump, a self-proclaimed master of the "Art of the Deal" and TV showman, has staked his negotiating chops on what he says is his ability to measure people in the moment and to turn supposed personal chemistry into spontaneous agreements. Putin, on the other hand, is a highly-calculated negotiator, according to foreign leaders and officials who have talked with him over the years. He is known to treat talks as competitive games of strategy and prepares heavily for them, bringing a playbook of calibrated tactics to manipulate his opponents, drawing on his training as a KGB spy. "I think you are looking at two very contrasting personalities and styles," said Sir Roderic Lyne, who was Britain’s ambassador to Russia in the early 2000s and was present at meetings between Putin and then-prime minister Tony Blair. "Putin is a man with a rapier, whereas Trump appears to be much more somebody with a bludgeon." Those who have encountered Putin said, he approaches meetings very deliberately, trying to wrong-foot his opponent from the start. "One of his tricks is to try and [make a person feel] unprepared," said Vaira Vike-Freiberga, former president of Latvia, who described her own first bilateral summit with Putin in 2001. "Anything that he promises beforehand you cannot count on. He will do the very contrary with the idea of catching you short." Vike-Freiberga met with Putin for the first time shortly after he became president. The proposed goal of the summit was very similar to that announced for Trump and Putin’s next week, to try to boost relations between the two leaders' countries, still troubled by the recent history of the Soviet occupation of Latvia. Instead, she said, Putin tried to ambush her, bringing a 10 centimeter-high pile of documents and an agenda of specific grievances around Latvia's treatment of Russians living there, after it became independent from the Soviet Union. "He intentionally wanted to throw me off my stride," Vike-Freiberga said. "Luckily, I know how to improvise, so it's alright. But it's not very polite." Such tactics reoccur in accounts of those who have witnessed Putin engaging with foreign leaders. They paint a picture of a man who has studied to develop his ability to size-up his opponent, with an unusual capacity to control the impression he makes. Unlike Trump, who has suggested he does not need extensive briefings, Putin comes to meetings heavily prepared. But once there, like Trump, he does not rely on briefing notes and brings few aides. Officials who have met him describe a chameleon who tailors his style of conversation to his interlocutor. "He can be, by turns, ingratiating or infuriating, depending on how he thinks he can make the most progress," said John Beyrle, U.S. ambassador to Russia between 2008 and 2012, who estimated that he has been present in 10 or 12 meetings with Putin. Beyrle said in meeting Putin can be funny and witty. But in sessions with Americans he also often monopolised the opening with long diatribes, driven by an apparently sincere belief that the Russia had been wronged following the fall of the USSR. “I remember several meetings with Putin in which he essentially took over the meeting for 20 mins, half an hour, 40 minutes with a long litany of grievances, directed at the American side,” said Beyrle. "In that situation it can be hard to get a word in edge-ways." Former officials said that Putin was not afraid to speak passionately on issues to signal they were important to him. 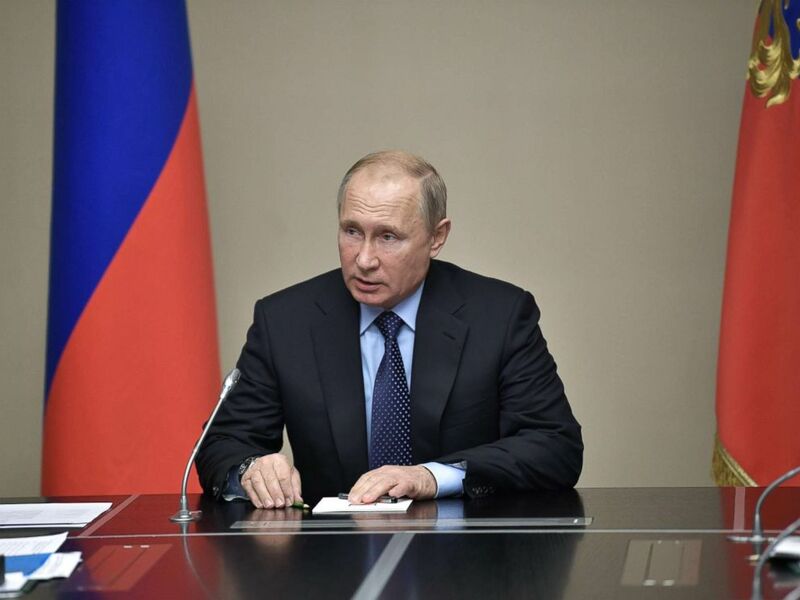 Russian President Vladimir Putin speaks as he holds a meeting with permanent members of the Security Council of the Russian Federation in his residence of Novo-Ogarevo outside Moscow, June 21, 2018. The Russian president has previously cultivated strong relationships with big personality leaders, such as former Italian president Silvio Berlusconi. Putin established a particularly close friendship with former German Chancellor Gerhard Schröder, who was given well-paid jobs at Russian energy companies after he left office, having signing off on a key Germany-Russian gas pipeline. Putin has also had some success with U.S. presidents, harmonizing initially with president George W. Bush, who famously told reporters after his first summit with Putin in 2001 that he "got a sense of the man's soul." "He is very talented at evaluating people," said Vike-Freiberga. "I would say he is very well trained." As many other leaders have, she attributes that training to Putin's time in the KGB. Putin was educated at a KGB training academy in Moscow before working as a Soviet intelligence agent in then-Communist East Germany in the 1980s. Along with dreary administrative work, he was also tasked with trying to recruit East German agents. Some see the approach of an intelligence recruiter in his preparations for meetings, saying that he had clearly had other leaders' deeply researched, looking for pressure points. "He is a trained agent-handler," said Beyrle. "So he has a very high emotional intelligence. He senses out very quickly who he’s dealing with and what he needs to do to achieve what he wants to achieve." Ahead of the summit, Trump has said he is "totally prepared" for meeting with Putin and that it may turn out to be the "easiest" of all the encounters during his trip to Europe. As with his summit in Singapore with North Korea’s Kim Jong Un in June, Trump has downplayed extensive briefings against his own ability to strike an understanding with Putin, who he has said he thinks it would be good to get along with. Putin and Trump have already met twice on the side-lines of international summits, but this is their first full-scale meeting. In Helsinki, the two will meet first one-on-one, with only translators present, before holding an expanded session with officials. That one-on-one session has alarmed some former officials, who worry it will give Putin an uninhibited chance to sway Trump towards Russia's perspective. Vike-Freiberga said a common tactic Putin makes use of is to enter a meeting with a hostile tone, then slowly warm up, luring his conversation partner into thinking they are making progress on their own charm. And then, she said, he will say, "Well, you know, if you want to keep this wonderful warm relationship there’s certain things you have to do." With Trump, she said, she thought Putin would likely play to the U.S. president’s view of himself a historic leader and on their shared criticism of a liberal international order that both have depicted as existing at the expense of their countries. Some U.S. Russia watchers, including former officials, worry that Trump, confident in his ability to improvise, will find himself manipulated into giving things away. Particular attention has been focused on whether Trump could upend U.S. policy by recognising Russia’s annexation of Crimea, given his repeated comments that he understood it had always been Russian. Administration officials have denied that is being considered. 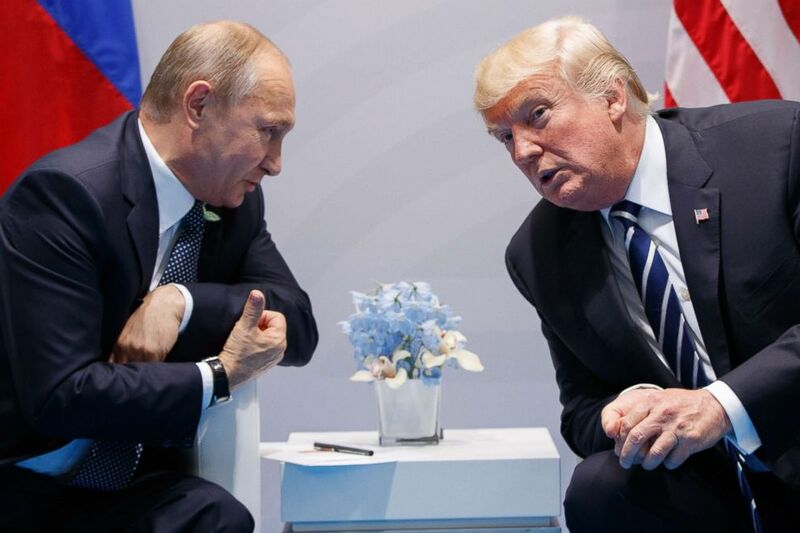 The summit agenda covers all the major issues of confrontation between Russia and the U.S.— Syria, Ukraine, arms control and election meddling-- but no concrete outcomes are expected. Both sides have said the summit’s main purpose is to restore a dialogue between the two countries. But Putin is unlikely not to make a play for something, Vike-Freidberga said. "He will go as far as he can to extract promises," she said. "His friendship will come at a price. He will ask for something....and I hope it’s not us,” she added, laughing. One thing both leaders share is a love of the wild card -- throwing out bolt-from-the-blue proposals into negotiations. This week, Trump blew up the NATO summit’s schedule to underline his demand that the allies contribute more to the organization. Beyrle said Putin repeatedly opened with curve-ball in meetings. He recalled a high-level negotiation where Putin abruptly proposed that the U.S. and Russia do away with visa requirements, surprising the Americans. "There would seem always to be something that Putin would spring on us unexpectedly," he said. "This is definitely part of his M.O."